As of 2002/08/17 sony's vaio pcg-u1 is one of the smallest complete laptops on the market (unfortunately it's only available in the japanese market). Much like its bigger brother the picturebook c1 series, the u1 has no internal removable media. If you shelled out the extra cash for the bootable floppy or cd/dvd drive, then installing a new os is mostly straightfowrard. But what do you do if you dont have the floppy or dvd? well, theres actually a lot you could do. 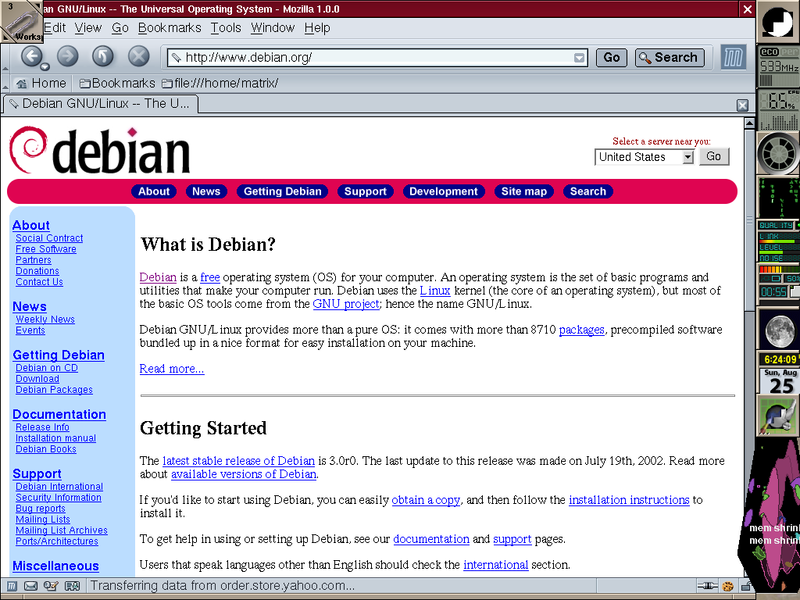 my first attempts of just booting a debian installation via loadlin failed horribly. looking around showed loadlin and winxp not playing well together. i found some references to how winxp bootloader worked for multibooting and very carefully proceeded to make drive d: into a dos bootdisk. after i had things up and running, i found just how much work and worry i went through for nothing. in the bios (hit f2 while the sony logo is coming up) there is an option to enable network booting. what now? the u1 has a built in realtek 8139 10/100 nic with PXE booting support. Wonderful! I wish i could have known before delicately playing with partitiions. Booting via PXE allows great failsafe, as if i mess up i can at least start the system from scratch and wont have the one of the smallest super high tech paperweights. so before you go any further, enable network booting in the bios and read on. i'll be updating this page whenever anything new pops up. that's it really, then just install as normal.